We can help you switch your SWGOH account from iOS to Android (and vice versa). Read on to find out what we’ll need from you to do that. Our EA Advisors can help you move your Star Wars: Galaxy of Heroes account on to a device that’s got a different operating system (OS) than the one you started playing on. We can do this when you create an account on your new device. Then we can move the information from your old account over to the new one. Sound complicated? It is, a little bit. But if you follow the steps here and have the information we need ready, it’ll help us get you set up quickly on your new device. Make sure you’ve linked your original account to Google Play (if you’re playing on Android) or Game Center (if you’re playing on iOS). You can link your account even if you’ve been playing on it for a long time, and you won’t lose any progress. Click View more to find out how to link your account. Open Star Wars: Galaxy of Heroes. Tap the gear icon (Settings) on the cantina screen. If you’ve never connected an account, you’ll see a button that says Sign in to Google Play. Tap Sign in to Google Play and follow the instructions to link your account. Once that’s done, your progress is backed up to your Google Play account. Make sure you’re signed in to Game Center on your device. You’ll get a pop-up asking you to link the game with your Game Center account. 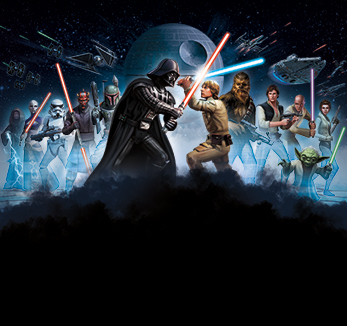 Install Star Wars: Galaxy of Heroes on your new device. Moving to iOS? Make sure you’re logged in to Game Center on your device, and that you link your game to it. Start the game and skip the tutorial when you get the option. If you’re on an Android device, link your new account to Google Play when you’re asked. You won’t see your Ally code until your reach level 18. If you are transferring your info over to a brand new device, having your player ID for the account on your new device is more important. You’ll see your Ally code at the top of the screen, under your character name. Make sure you have your Ally Code from the account on your old device when you contact us. DON'T HAVE ACCESS TO YOUR OLD DEVICE? Ask a friend or guildmate to check for your Ally code in-game on your character tab. For security reasons, we’ll ask for your Player ID for both accounts. This is because your Player ID can only be seen by you and us. Tap on the gear icon (Settings). Your Player ID is at the bottom of the screen. This ID is case sensitive. If you have trouble reading it, screenshot it and send it to us. This is extra helpful if there is an “l” that could be either a capital i or a lowercase L.
Our final security check is to ask you for proof of purchase if you’ve ever bought anything in-game. the confirmation email you received from iTunes. The description/name of the product you purchased. The game code (if applicable). The date and time of the purchase. We’ll need screenshots of: your purchase history in the iTunes client the confirmation email you received from iTunes. Make sure these things are clear on both images: The description/name of the product you purchased. The game code (if applicable). Your transaction ID/order number. The date and time of the purchase. The price you paid. the confirmation email you got for the purchase. We’ll need screenshots of: the Transactions Page from your Google Payments the confirmation email you got for the purchase. Make sure both screenshots include: the description/name of the product purchased the game code (if applicable) your transaction ID/order number your email address the date and time of the purchase the price you paid. Once you have everything ready to go, click Contact Us, choose Star Wars: Galaxy of Heroes as your product, and let your EA Advisor know that you’d like to move your account.